Fresh Yummy Grilled Burgers On Black Background. 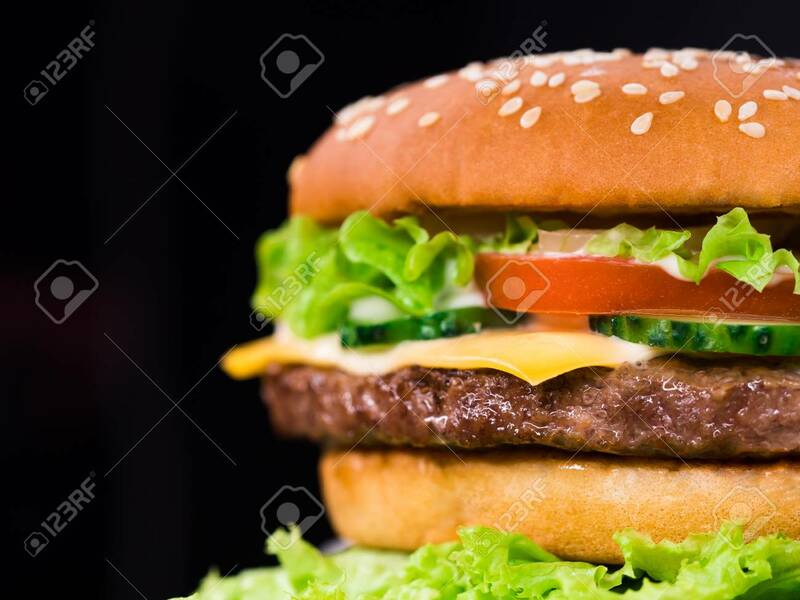 Meat Patty, Tomatoes, Cucumber, Lettuce And Sesame Seeds. Fast Food Concept. Junk Food Lifestyle Foto Royalty Free, Gravuras, Imagens E Banco De Fotografias. Image 115199028.